Saskatchewan is one of two land-locked provinces in Canada. This prairie province may not be the first destination that comes to mind for someone planning a beach holiday; but don’t judge a book by its cover. Saskatchewan boasts 100,000 lakes. In fact, a whopping 12% of the province is covered by water. Summers in the province can be very warm, or even hot, and Saskatchewan has among the most sunny days in all of Canada. Furthermore, the majority of lakes in the province are not fed by glaciers so the water you’ll find is usually warm enough to swim in. 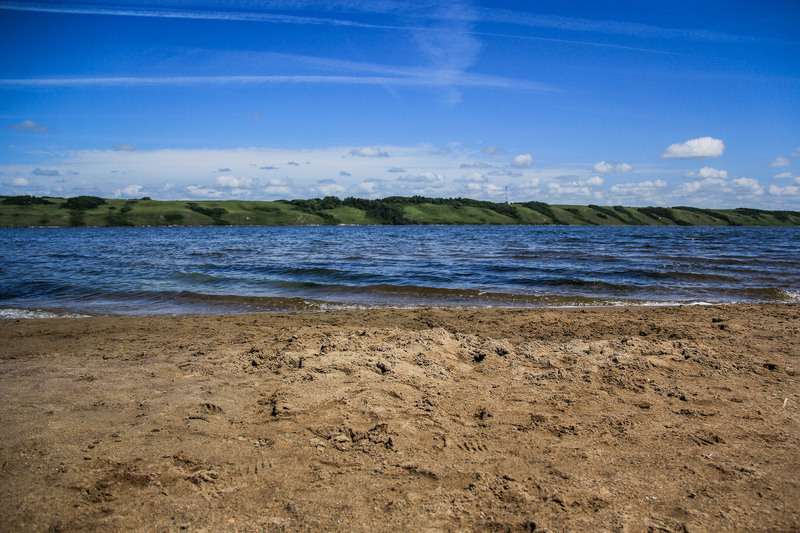 Good Spirit Lake Provincial Park, for example, has shallow, clear waters and sand dunes for exploring. While the southern portion of the province is mostly prairie land, the northern part is situated atop of the Canadian Shield. Here, the boreal forest and cooler, clear waters are surrounded by ancient rocks and lush forests. The Churchill River and its tributaries flow through Saskatchewan from Alberta and Manitoba into Hudson Bay. These waters also offer scenic canoe routes. The area offers camping grounds on the various islands scattered throughout. There are also beaches close to the urban centres of Regina and Saskatoon. For example, Regina beach, only 45 km northwest of the city, offers all the amenities of an urban beach with great, swimmable waters. In Saskatoon, a few hours of driving will get you into a couple of provincial parks which are home to warm, sandy beaches surrounded by natural beauty. Manitou beach, in between the two cities, borders a unique mineral-filled lake, making its bathers extra buoyant. This lake is sometimes referred to as “The Dead Sea of Canada”.